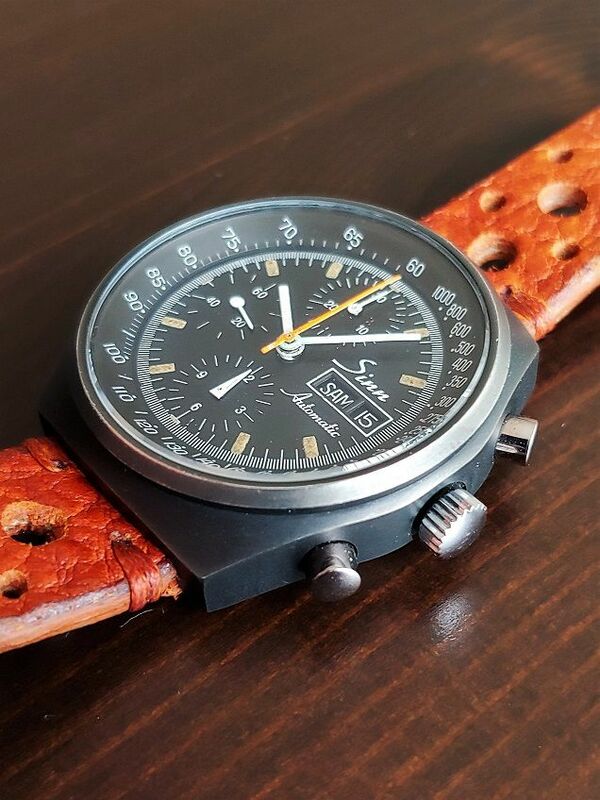 for sale is this beautiful Sinn 144 Chronograph. Based on my research and rarity of this vintage model I must assume it comes from late 70's or early 80's. According to my intel Sinn began to assign crowns in mid 1980's. Dial: overall wonderful condition, imperfections visible in macro shots. Chrono hand resets slightly off zero. 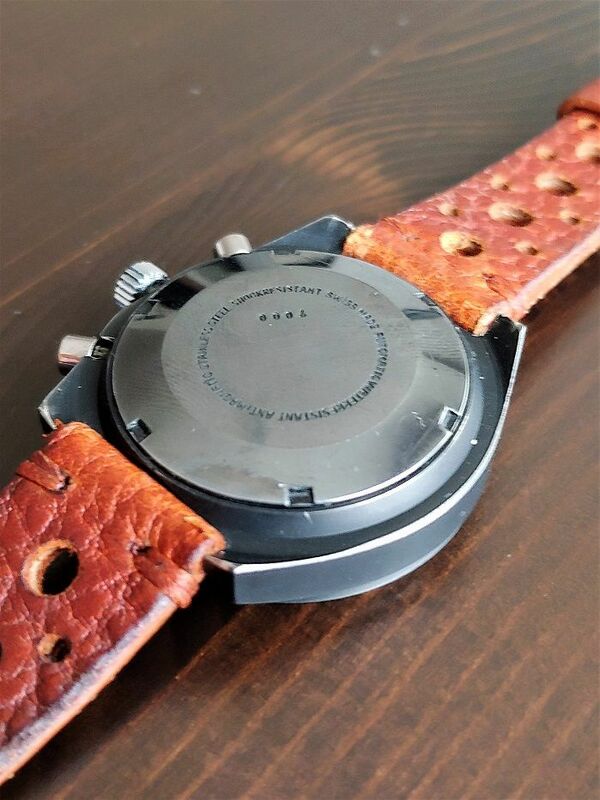 Case: original PVD/DLC coating, sharp edges, never polished. New mineral glass installed in 2016. Movement: Valjoux 7750 with chrono functions perfectly given. The watch was serviced in Apr 2016 at expert watchmaker with full parts cleaning, lubricating and movement regulating. 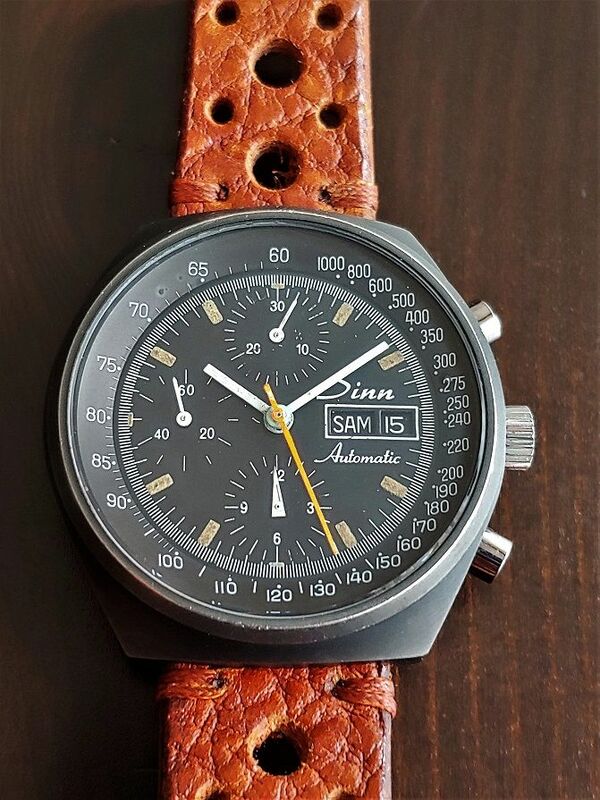 Watch comes on a leather strap. See my IG for more pics (@tdk.dotcom). Watch is located in EU. Thank you CT for space.